Zechariah joins Haggai and Malachi as the only Prophets to minister to Post-Exilic Israel (after their return from Babylon). As we saw with Haggai, Zechariah’s main mission is to speak words of hope and encouragement to a tiny remnant returning to Jerusalem with intentions to rebuild the shattered temple. Throughout his book, Zechariah shares several visions of what will happen in the future. One of these visions continues what is known as a “Progressive Prophecy” that has been slowly evolving throughout the Old Testament. Sometimes when we read it we forget that the people of the Old Testament received theses visions/words/sayings in a progressive state. This means that they would only receive a portion of the message – with another portion sometimes not being revealed for many generations. One example of such a progressive message is Zechariah’s vision of THE BRANCH in chapter 3:8. What is the meaning of this title? To whom is it referring? If we only look at what Zechariah is saying, we can get confused by what seems to be a partial image. But, if we connect it to what has already been said in the past we gain the entire perspective. 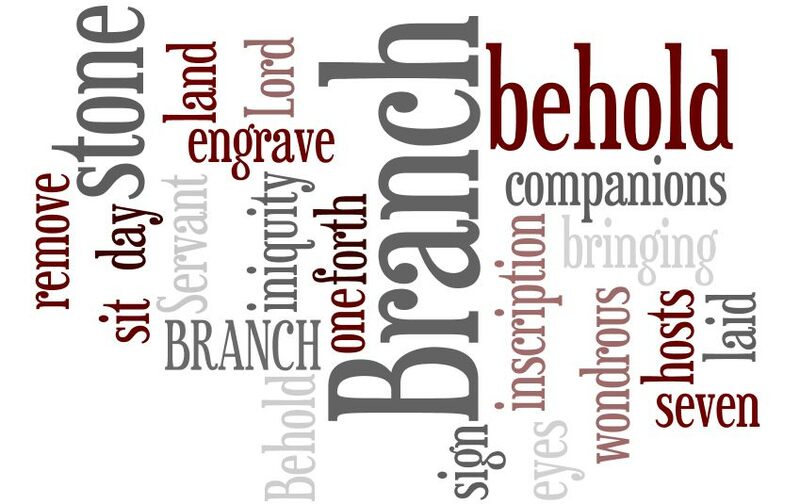 First, we need to understand that the Hebrew word for “branch” used by Zechariah is “tsemach” – and it is properly translated as “shoot” or “stem”. It isn’t only speaking of a full-grown branch (like on a tree) – but also of the initial root, stem, shoot of a blossoming plant. This is important as we look back to the words of Isaiah and Jeremiah. Now obviously Isaiah is referring to something that will happen in the future (from his day). He doesn’t have all the details – he just sees that it will be connected with King David and will represent good things. (IN fact – take a moment to read the entire chapter 11 to see more details of what this “Branch” will do). This is where we really start to hone in on the Branch. It is a person – and He will bring healing (as Isaiah 53 tells us). So Jeremiah sees that this individual will be a King, connected to the family line of King David, and He will be Righteous (meaning He will be in right relationship with God – this cuts out many of the kings we have seen thus far!). So by the time Zechariah comes on the scene it has been established by these (and other) scriptures that there is a Righteous King coming in the future who will continue the line of David on the throne and usher in healing and peace. Everyone was waiting for this “Branch”. Finally Zechariah tells us that this Branch, King, Servant will “build the true temple of the Lord”. So what does this mean? Who is this Branch? What temple did He build? 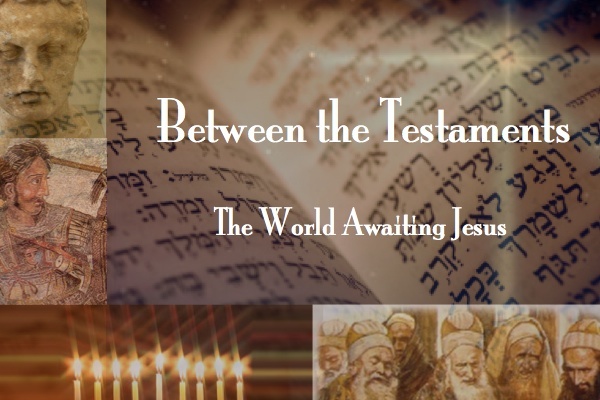 For those answers… we must look to the New Testament – where Paul and the early Apostles understood that this Shoot, Branch, Root of Jesse was referring to Jesus – the King of Kings – from the family line of King David. As for the Temple… Paul tells us in Acts that God no longer dwells in a “temple made by human hands” (Acts 17:24). He no longer dwells in a building (like in the OT) – but now He actually lives within us! So from Isaiah forward we have heard of a Branch coming… a King who will bring in healing and peace. That Branch is Jesus and He is the King of Righteousness who restores the broken temple. Not a temple made of stone – but the Temple made of the human heart. You and I are the Temple – and it is through Jesus that the Spirit of God lives within us – bringing in healing and peace!